I was first introduced to the Shin Sen Gumi empire via their Hakata ramen outpost in Little Tokyo. I quickly became a fan of their fully customizable ramen – customers can choose their desired firmness of noodle, amount of oil, and strength of soup base – preferring it over the eternally crowded and much more traditional Daikokuya around the corner. In addition to their top notch ramen, SSG also excels in yakitori which can be found at four of their seven Southern California locations. 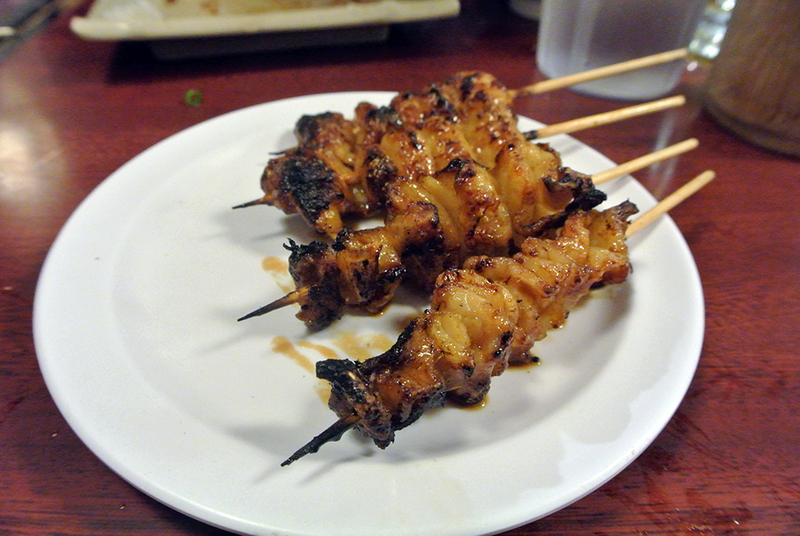 The original, in Gardena, is regarded by many as one of the top places to chow down on the charcoal-grilled skewers of meat (and a handful of veggies, although those are usually best when wrapped in pork belly). Considering I had never been, a friend of mine who lives in the area insisted on taking me there when I came down to visit for the day, promising that I too would echo all of the high praises. 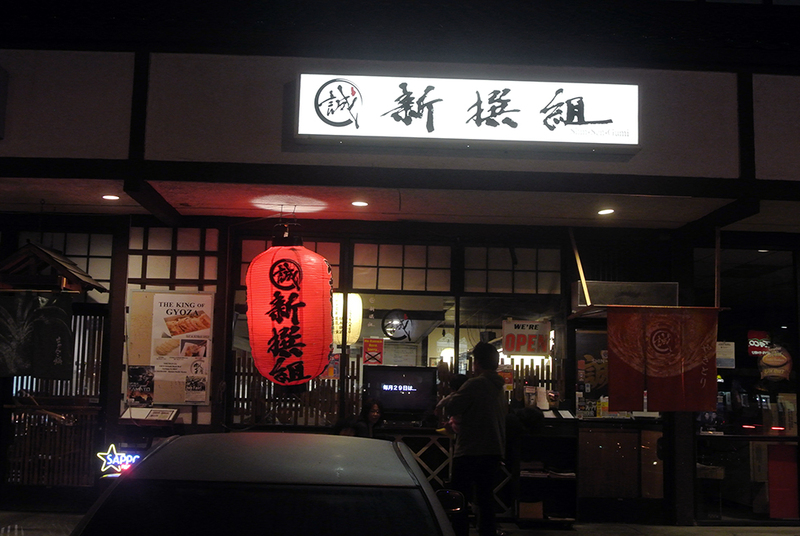 Situated in a strip mall on Western, the restaurant is rather small inside, with wooden tables lining one side and the yakitori “bar” taking up the other. Given their small size and popularity, it’s highly advisable to get their early to avoid the long waits that are almost a guarantee during peak hours. Upon entering you’re immediately welcomed with a loud greeting in Japanese, yelled by very staff member in the vicinity, an SSG trademark. This loud, boisterous atmosphere only increases as the evening progresses, making it one of the noisier restaurant settings I’ve encountered. Personally, I enjoy the liveliness and fun, easy going nature of the staff, but for some I can imagine it being a bit overwhelming. 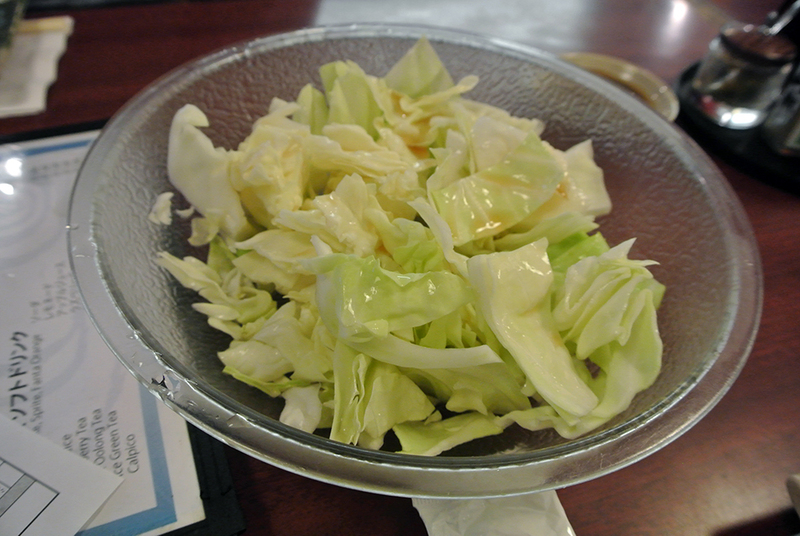 Immediately after being seated we were brought an uninspired looking bowl of cabbage that had been drizzled with a light ponzu sauce. Plain as it was, it was a welcome accompaniment when eaten along with all of the various cuts of meat. Not only was it free, but it was regularly refilled throughout the course of the meal. Before the procession of skewers began, we had first an order of Japanese-style fried chicken. The bird was nice and moist inside of the crispy, starch-dredged coating, however after sitting for a few minutes the crust became a little soggy. Eat these immediately, especially with the accompanying sauce. 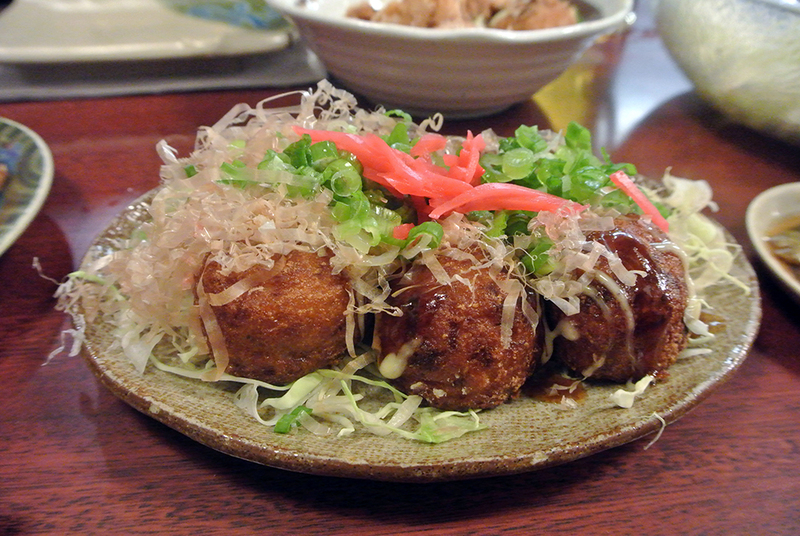 I love good takoyaki, although I don’t seem to find them often enough. These, however, were superb. The exterior had a light crunch to it, revealing the smooth, hot batter inside studded with pieces of octopus. The liberal use of katsuobushi, or dried bonito shavings, added a smokey element, while the pickled ginger helped to balance the palate. Religious and personal beliefs aside, if you don’t enjoy pork belly then I may not ever be able to completely trust you. The simple charcoal grilling really captured the oily, porcine savor of the bite-sized pieces of belly, and quickly had me salivating for more. 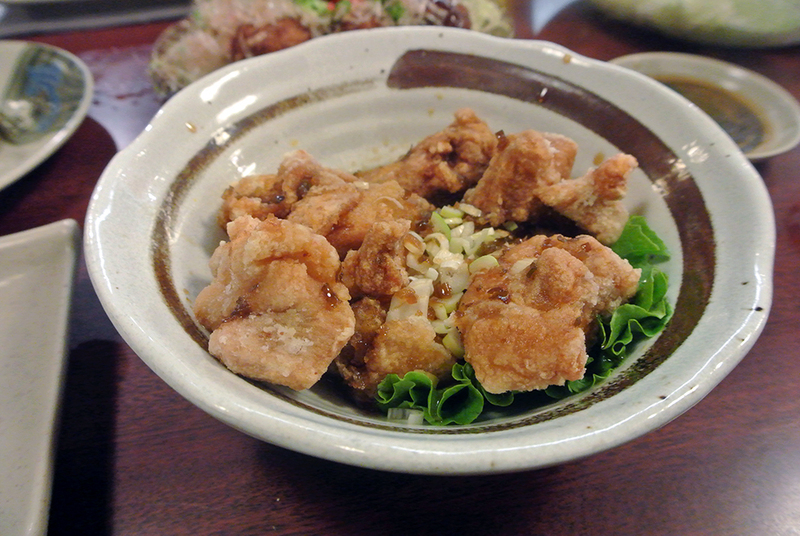 Perfectly moist, tender pieces of chicken thigh came next, brushed with Shin Sen Gumi’s Yakitori sauce (think a sweet-savory-soy sauce). The crunch of the green onion added a nice textural component as well as a slight bitterness that accented the glaze from the sauce. My friend Nate, who played the role of local guide for my day in Torrance, insisted that the meatballs here were hands down the area’s best (others would give that distinction to nearby Torihei). 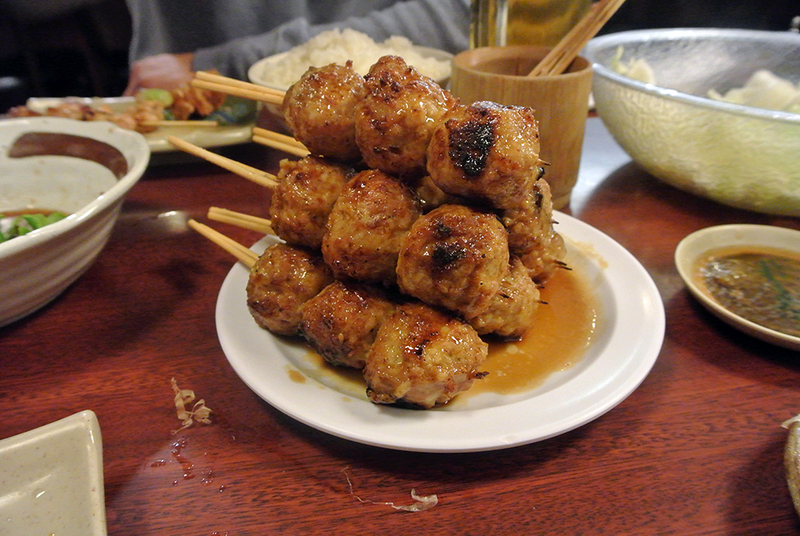 I’d have a hard time proving him wrong because these were damn good, warranting two skewers (six meatballs) per person. 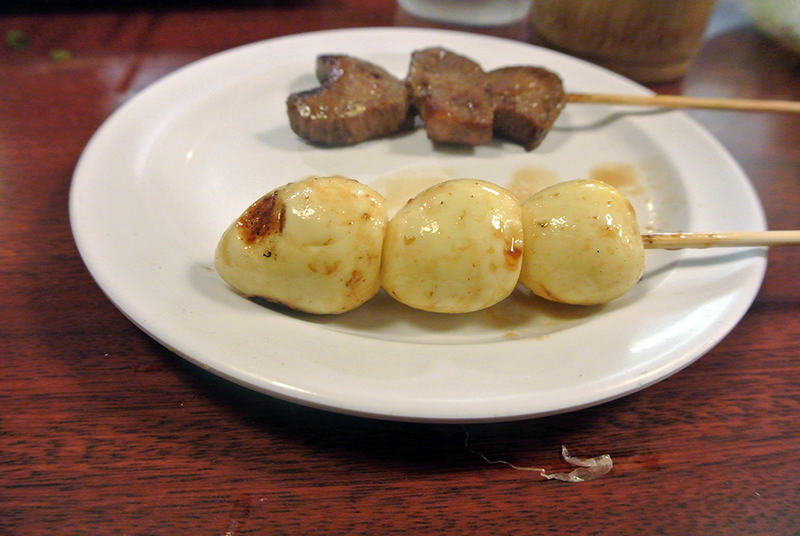 The ground chicken was well-seasoned and hand-formed into spheres before being cooked to a perfectly juicy center and brushed with the yakitori sauce. Undeterred by the lack of excitement from the rest of the table, I eagerly consumed all three of the quail eggs that came out next. I’ve never thought to grill a hard-boiled egg, but that’s basically what we had here, resulting in a faint smokiness that permeated the egg right through to the yolk (too bad it wasn’t runny). Beef tongue was another one that didn’t attract any attention from the rest of our group, leaving all three pieces to me. The tongue was chewy with a pronounced beefiness, as expected, but I prefer the thinner slices grilled table side like at Musha. A rare vegetable sighting not counting the complimentary bowl of cabbage, and naturally it had to be wrapped in thin slices of pork belly. The asparagus displayed a pleasing crunch and fresh flavor, heightened by the glorious pork fat wrapper. After the phenomenal gizzards I had not too long ago at Bestia, these just couldn’t quite capture the same magic. From a textural standpoint these were solid, but flavor-wise they didn’t do much for me. Unappealing as it may be for some to think about, the skin happens to be one of my favorite animal parts, be it fish, chicken, or pork. 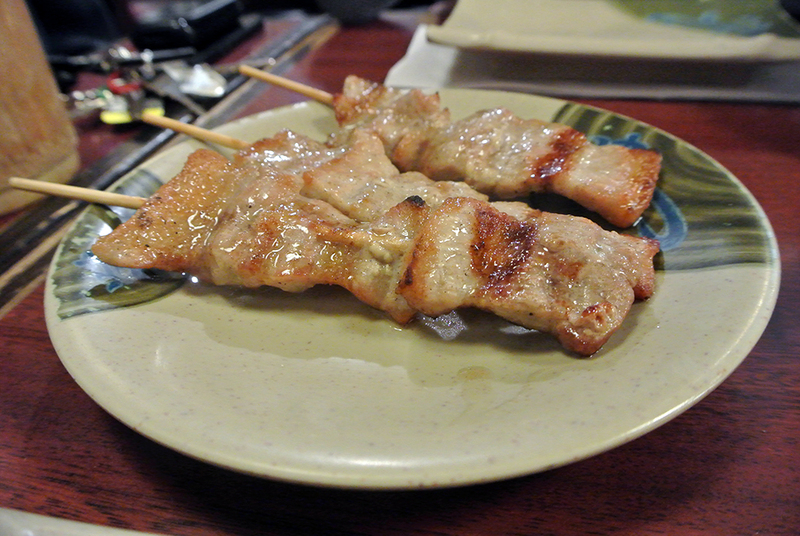 Here, the chicken skin was equally crispy, chewy, and gelatinous, with an umami-like richness of savory flavor. A light dousing of yakitori sauce completed the deal as these took the place of dessert in closing out the meal. 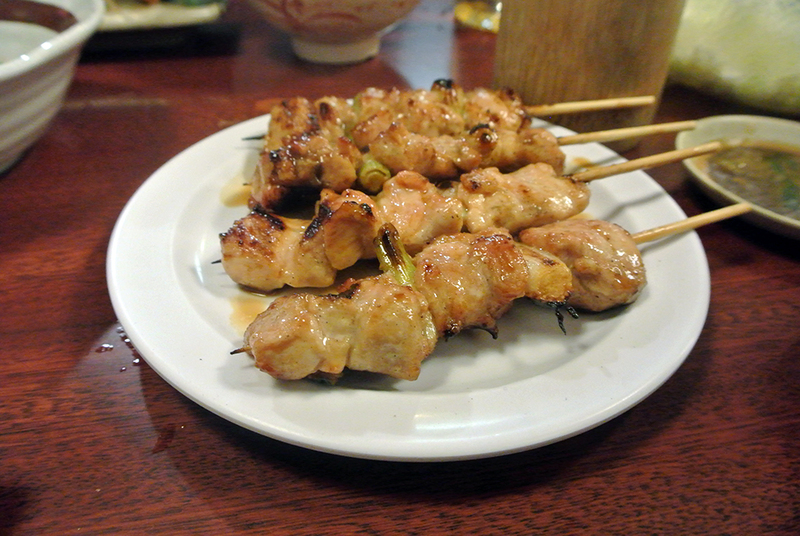 Suffice to say, the yakitori at Shin Sen Gumi certainly lived up to its top billing. 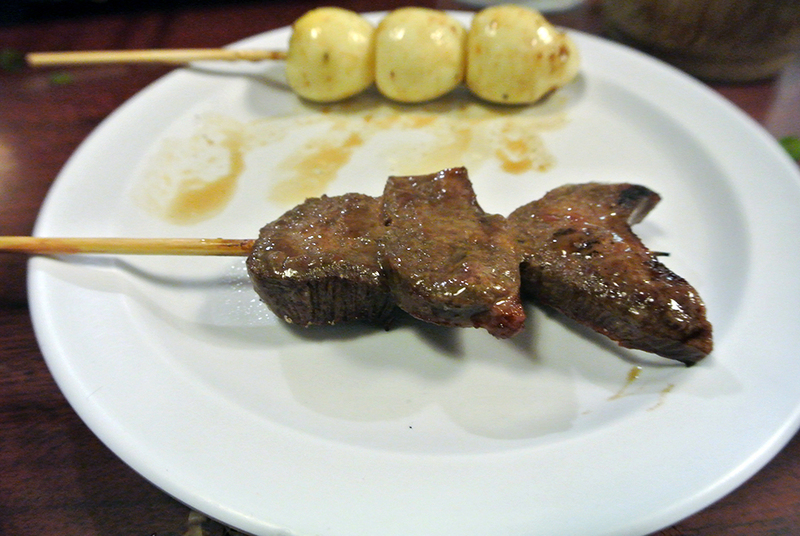 With nearly 50 different skewered items (including specials) to choose from, we barely scratched the surface on this visit, but just about everything that we ate was superb. I found the simplest selections to be the strongest, like the chicken thighs and meatballs, where as the beef tongue and gizzards didn’t quite impress me enough to warrant ordering again. 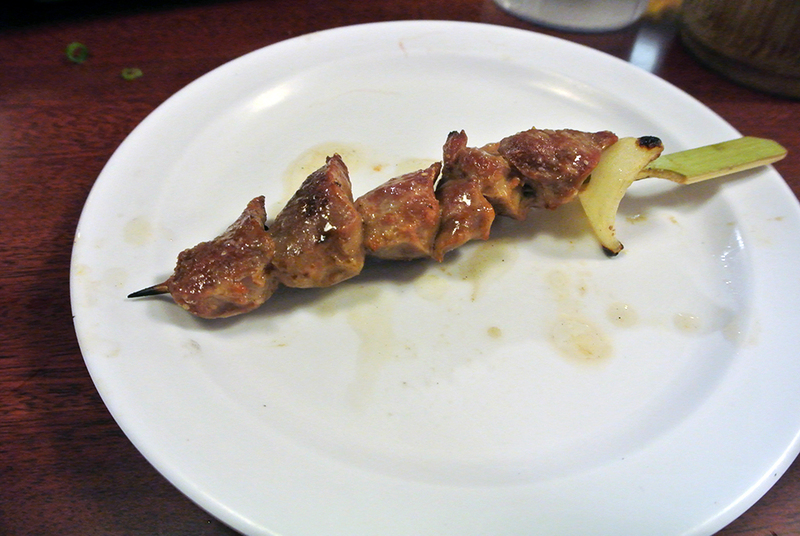 The two non-yakitori dishes that we ordered were stellar, and reason enough to explore that portion of the menu a bit more on my next visit. My biggest gripe of the evening was that one of the waiters cleared our skewer “graveyard” halfway through the meal, as I wanted to see our final tally after it was all said and done. 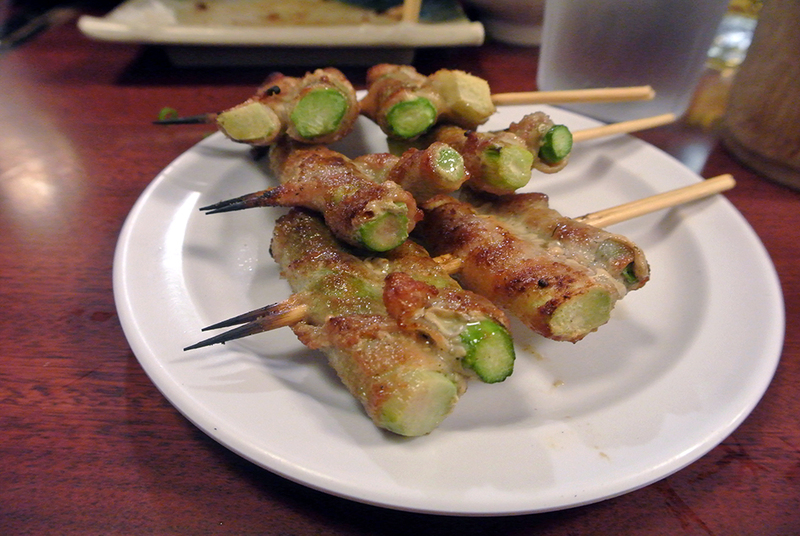 That aside, Shin Sen Gumi warrants all of the high praise it has received over the years, and is a sure bet as any at satisfying the most serious yakitori cravings.